﻿A new combination of two different approaches - virotherapy and immunotherapy - is showing 'great promise' as a treatment for pancreatic cancer, according to new research published in the journal Clinical Cancer Research. The study investigated whether the effectiveness of the Vaccinia oncolytic virus - a virus modified to selectively infect and kill cancer cells - as a treatment for pancreatic cancer, would be improved by arming it with a gene which modulates the body's immune system. The researchers armed the Vaccinia virus with a copy of the interleukin-10 (IL-10) gene, which would express proteins in the cancer cell once infected by the Vaccinia. These proteins are important in cell signalling - but are also known to dampen the immune response - and the researchers hoped that this would allow the virus to take hold and persist for longer. The research team first confirmed in the cell lines that arming Vaccinia with IL-10 would not compromise Vaccinia's anti-cancer effects. They then conducted tests comparing the effectiveness of Vaccinia and Vaccinia armed with IL-10 on mice with pancreatic cancer and a group of transgenic mice specially bred to develop a more human form of the disease. After six weeks, 87.5 per cent of all the mice treated with the combination approach were completely clear of tumours compared with 42.8 per cent of those treated with Vaccinia alone. In the transgenic mice group, the average survival rate almost doubled from 69.7 days for 138.5 days. 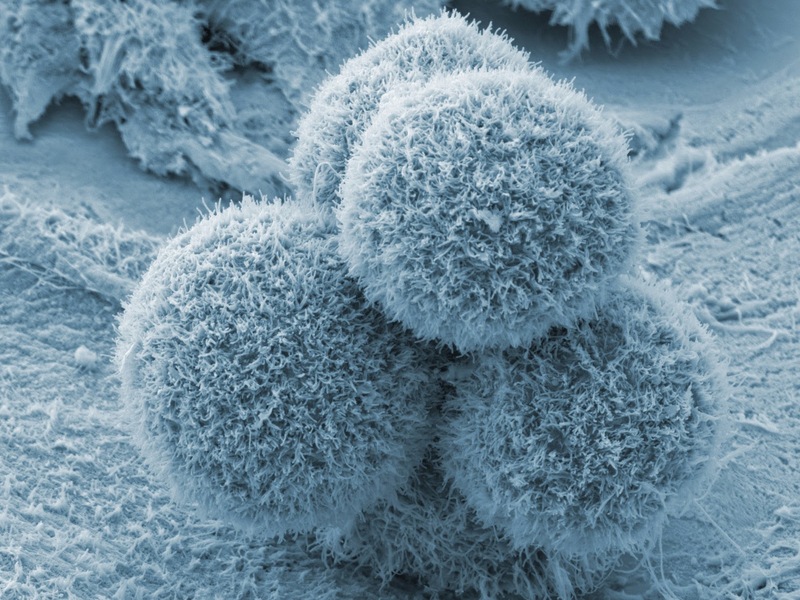 Four weeks after being completely clear of primary tumours, pancreatic cancer cells were reintroduced into the mice. No further doses of armed or unarmed virus were given. Whilst the cancer cells grew again in both groups, after 32 days all animals bar one were once again completely clear of cancer. Interestingly, the regrowth was much slower in the mice originally treated with IL-10 armed Vaccinia and the mice in this group were free of cancer in only 18 days. While more research is needed, these early results show potential. Pancreatic cancer desperately needs a radical new approach to see improvement in survival, so a new treatment that also offers protection against disease recurrence would be an extremely important development. Originally posted by Pancreatic Cancer Research Fund.